As you probably heard I bought a huge MTG collection recently. As such my purchases are likely to be pretty mellow until I get out the other side of the eventual flip. We finished cataloging the collection this week, and the total TCGLow (NM) value ended up being almost bang on $40K. Given that the cost was just over $14K, with about $250 in expenses, we’re now in very good position to make some cash. More on that in a forthcoming Part 2 to the article. I continue to believe that the Abbot is one of the most underrated cards in the set vs. it’s eventual play value. I’ve been testing a Modern URw Delver build with Bolt, Path, Probe, Snaps, Delver, Young Pyromancer, etc, and in my experience the card almost always does what I want it to. Sometimes he’s just an early drop that’s tough to block while I’m holding removal or cantrips, and a bit later in the game, he turns into solid card advantage, that can roll right into snapping the drawn card back for a second lap. In Legacy and Vintage, there also seems to be potential. If I wasn’t all over the Super Collection I’d be all over more of these. There’s even a solid chance it won’t perform in standard, and that foils will be down to $6 or so in the next few months on low Modern activity and relatively few chances to break out. These are all chip shots made off of the top of the Super Collection to folks who pinged me early on Twitter. At this point the move is to try and out the entire collection to a vendor, but if the $40K value becomes an issue, we can keep carving into the stash until the collection becomes bite sized for more vendors. “I do not know how many people actually buy the calls I make, but I know at least one person who does, and that’s me! I was very bullish on Woodland Bellower in my Magic Origins Mythic Review Part II and I’ve decided to pick up a playset for my own use at this price. I’m still looking to acquire more, and would continue to do so as long as the bear-stag remains under $10. You’re telling me that a 6 mana for 6/5 that comes together with a Deathmist Raptor or a Courser of Kruphix is under $10? Narset Transcendent is another card I mentioned in one of my recent articles. The two Narset complete my playset of non-foil Narset. As I’ve mentioned in my article, I think Narset will be a key planeswalker in UWx decks post-rotation and I would like to have access to a full playset before that happens. I’m still looking to pick up more Narsets at her current price. Abbot of Keral Keep was the first Magic Origins card I own. I was initially dismissive of Abbot but a few players I respect were bullish on it and I’ve decided to start assembling a playset for myself. You know, just in case. The Dragon Whisperers were the only card I was missing from Dylan Hysen’s Red Devotion which top 8ed the previous SCG Open (http://sales.starcitygames.com/deckdatabase/displaydeck.php?DeckID=87167). Red Devotion was the deck that I’ve had the best results with back in 2013, and it would be nice to be able to run it out again a few more times during its sunset months. That would probably be my go-to aggro deck if Mardu Dragons becomes unviable in the post-Languish meta. Narset @ $7. How did you find that price? The LGSes in Malaysia priced their cards based on SCG’s price, and Narset is currently $8 on SCG. I highly believe Jace is going to be in every deck utilizing the Graveyard and the fact, that he went up to 16€ right after my purchase, was sweet. I’ll definitely hold unto them until the Pro Tour and out them at 20€ or above. The Clash Packs were too good to pass, because I still believe in CoCo to regain it’s value. Once supply lessens, I’ll sell, but until then I got a lot of Abzan and Mono-W Devotion Pieces for cheap. The boxes are solely for private drafts. Rally and Haruspex were pre-emptive buys after day 1 of #SCGCHI, but I still hope, someone will tune this awesome deck and navigate it to a good position. On the sell-side, I outed the Azusas, because I effectively got one for free this way. I was waiting for this card to hit it’s floor, and I think it has so I picked up a playset. I think this card has a chance to climb the most in Standard, and now is the time to buy in on KTK fetches anyways. I really believe Rally decks are going to gain popularity over the next month. 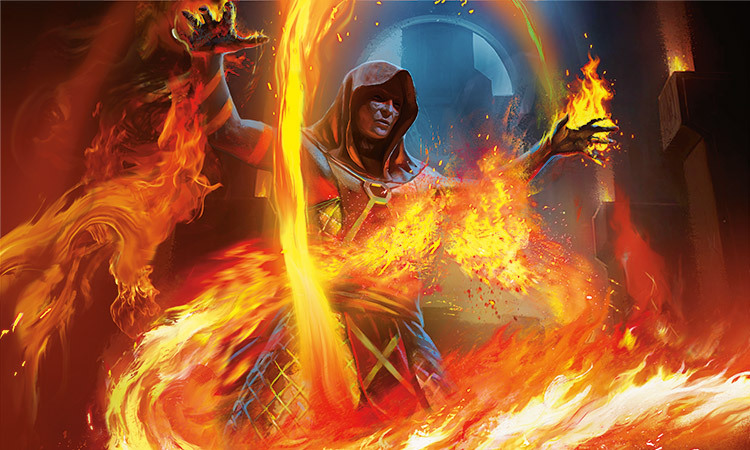 The new Jace is surprising everybody, and Jeskai decks are going to also grow in numbers. Ojutai’s Command is going to finally get it’s day in Standard because of this. James. I totally understand recouping on your investment but Wasteland seems like the ultimate “hold” and even buy outright atm. The buylist is climbing and the price has certainly reached it’s floor.